Only SJP can wear Minnie Mouse ears and look this chic!!! Her black embellished LBD and lace Minnie Mouse ears were designed by L’Wren Scott…and her heels were by Manolo Blahník. At the event, SJP revealed a short animated film that stars Minnie Mouse who window-shops for a Lanvin dress, daydreams her way to Paris Fashion Week and meets fashion VIPs like Steven Meisel, Anna Dello Russo, Carine Roitfeld, Emmanuelle Alt and more. Since mother’s day is tomorrow I thought Emmanuelle Alt (editor-in-chief of Vogue Paris) and her daughter Françoise deserve a post by themselves!!!! They are one of my favorite mother/daughter duos….I love this photo of them taken by Jak & Jil even though its an old one. Alt was wearing SS 2010 long boots from Isabel Marant and they looked amazing on her….and little Françoise was just too chic in her Burberry trench! 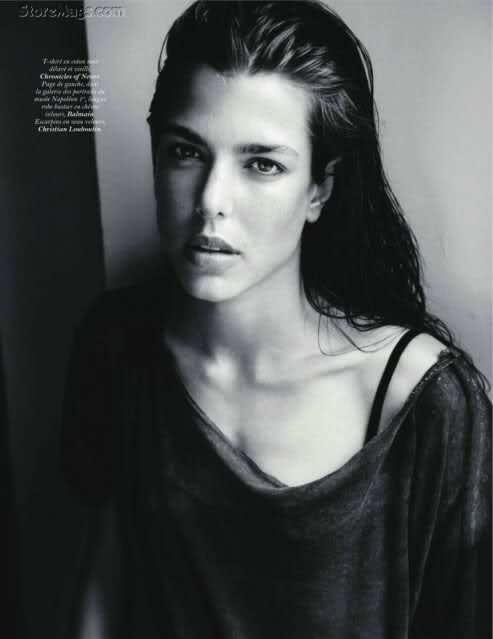 Charlotte Casiraghi is by far the most beautiful and most stylish of all the royals. She has the same striking good looks and sense of style as her grandmother Grace Kelly. 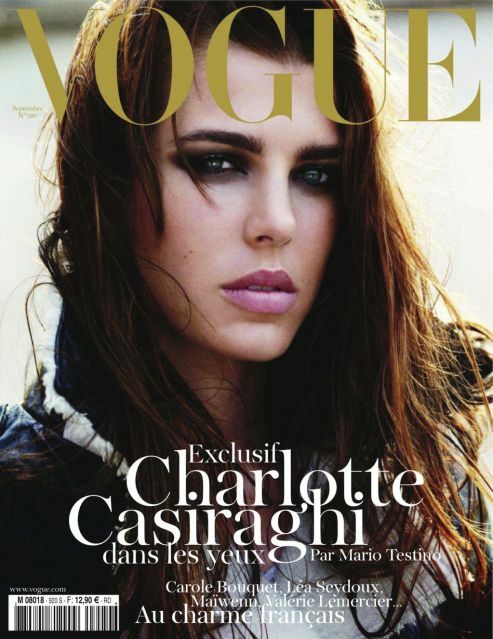 For the September 2011 issue of French Vogue, Charlotte is featured on the cover and on 27 pages. She wore Gucci, Dior, and Balmain in stunning images created by non other than Mario Testino. I love the layout of this Vogue issue … it is exceptional …. and I think that it was a very smart choice for editor-in-chief Emanuelle Alt !! !